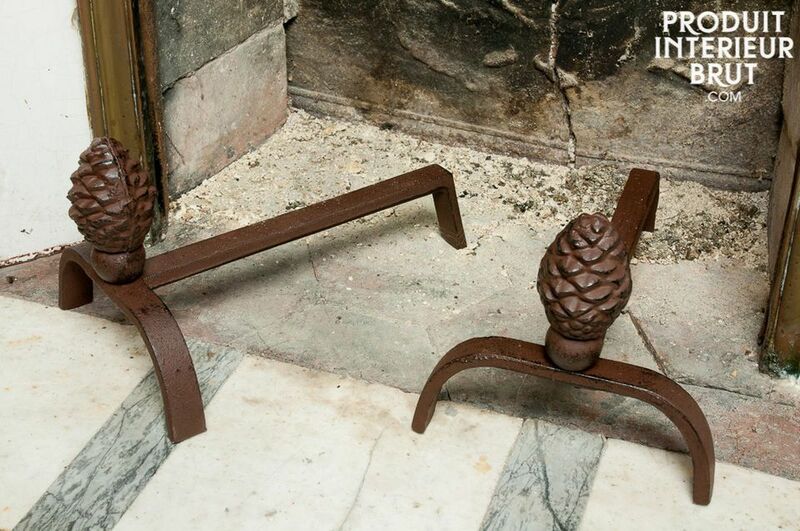 This pair of firedogs is designed from cast-iron and displays an essential accessory for your winter evenings around the fireplace. 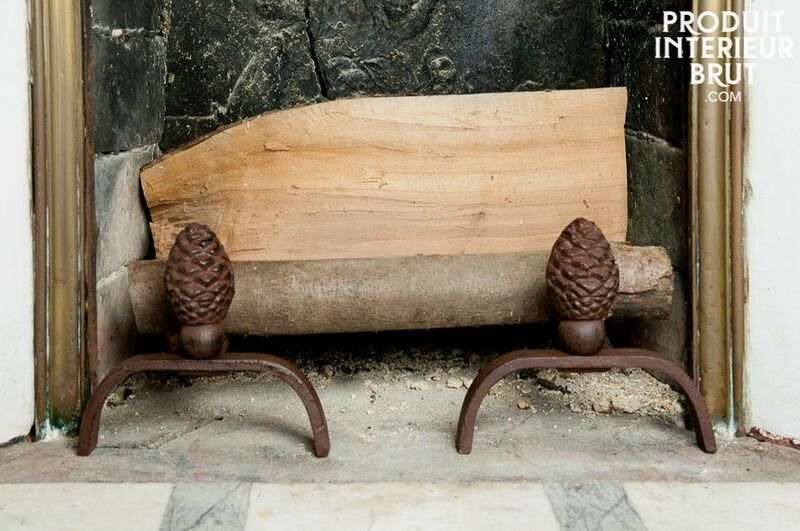 The pine cone shaped ornaments perfectly match the wood logs that burn slowly. 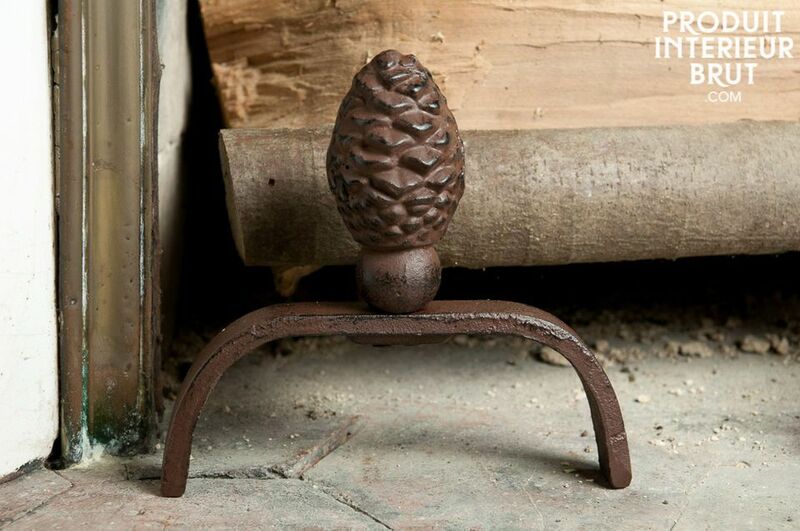 The natural colour of the cast-iron is warm in nature and easily integrates into your interior with its Boho Shabby Chic charm. 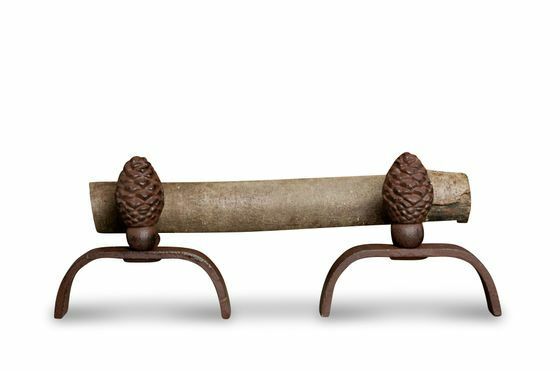 These firedogs can prevent the logs from sliding out of the fireplace and protect the window if you have a fireplace insert. "Very good product and aesthetique"